coming of age for falling apart. 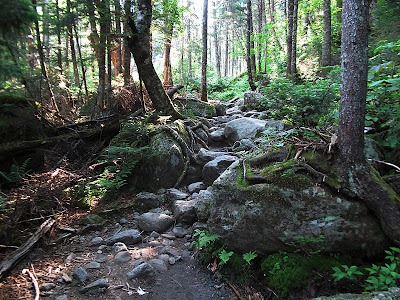 So here we were, hiking part of the Appalachian Trail in the White Mountains of New Hampshire, and I think I am falling apart. Megs and I had been friends and hiking partners for years. We’re a good match: short people with short strides. Sometimes klutzy, too, but we’re game. An all-day romp in the woods and a post-hike pampering with wine and dinner had lately been our idea of a good workout. Immediately we knew this trip would be different. I couldn’t squeeze a bottle of wine in my backpack. 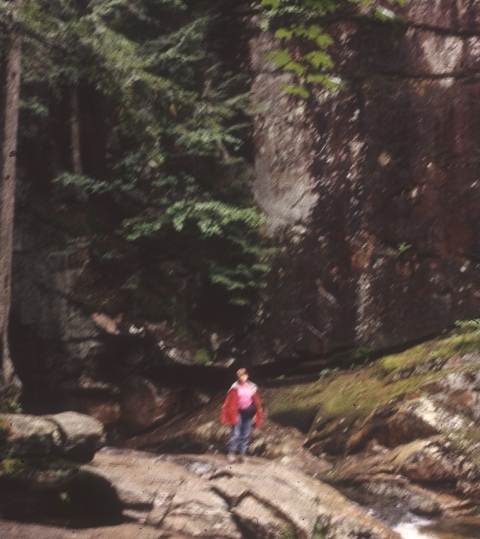 We’d both done backpacking years ago, but what we’d read about hiking in the White Mountains was daunting. Then there was the sticky matter of accessing the car after a one-way hike. 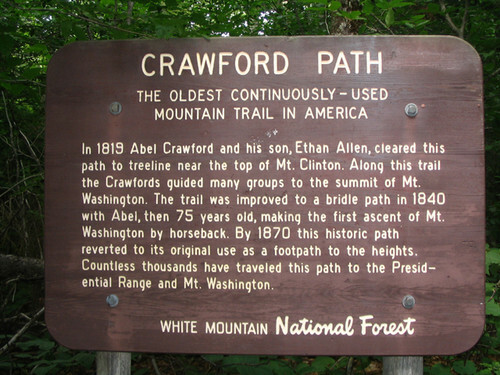 So we settled on walking the Crawford Path from Crawford Notch up to Lakes of the Clouds in two days and returning in two days. This is a round trip of only about 15 miles. Surely we could manage that. Our car would be waiting for us like a golden chariot to speed us away to a fine dinner with wine. This hike was tailor-made for us! 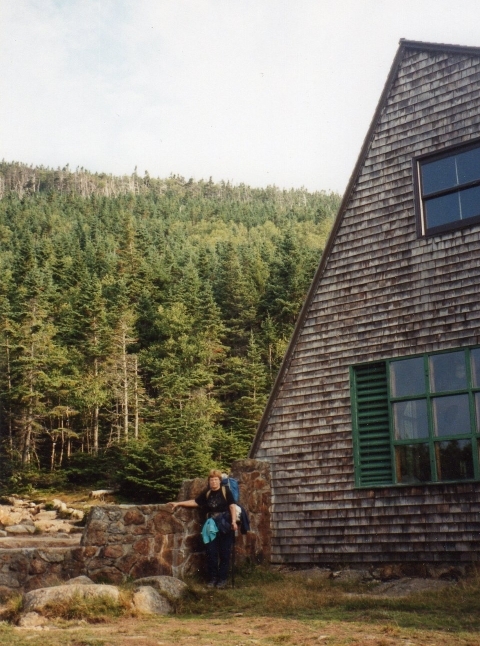 And we could stay at Appalachian Mountain Club huts each night. We’d be sure of a good dinner and a real bed at the end of each day. Now, Lakes of the Clouds hut lies on the shoulder of Mt. 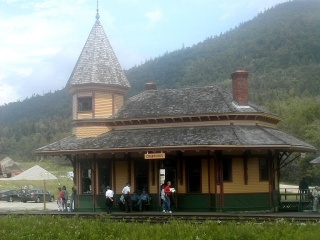 Washington, whose summit is only a mile and a half further and a climb of some 1300 feet. Maybe we could add a day or so. . . It seemed a shame to be so close and miss the peak. But we’d heard too much about Mt.Washington. Steep. Treacherous winds. Nasty weather. No, we’d skip it. To prepare for our celebration of falling apart, Megs doubled down on her treadmill and I walked several (flat) miles a day carrying lead sash weights from discarded windows. To make up for possible deficiencies in training, we worried. Would we have the stamina? 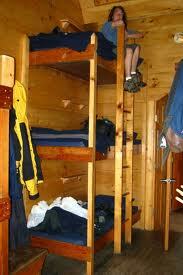 Would we get any sleep bunking with ten other people? 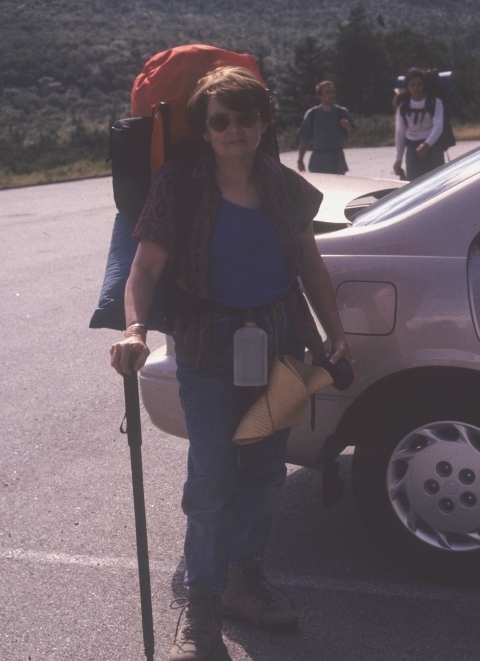 Would we feel like old ladies next to experienced hikers? More to the point, would we trip and fall down the mountain? Why, exactly, were we doing this? Assorted disasters would court us all the way, but they would never quite catch up to us. So, here we were, in the Crawford Notch parking lot mid-afternoon, saying temporary goodbyes to Richard and his eight-year-old son, Bennett, who probably had more miles of backpacking experience than both of us put together. We’d just met them, but we had all become buddies by virtue of the trail we were about to take. 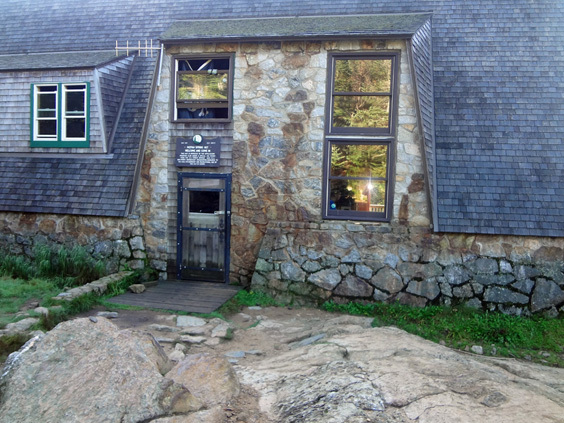 We parted with promises to meet at the Mizpah Spring hut. The deep green woods closed in on us. We started a gentle ascent. This was fine hiking. For half a mile or so. The little hill was soon becoming a rocky mountain. The guidebook says this is a moderate grade? What were we in for? And why did I pack those extra socks? Can’t imagine lugging wine. It must be easier for hikers with Barbie/Ken legs. Halfway to the hut. Stomach somersaulting. Knees wobbly. Heart pounding. Sweat dripping. I hadn’t eaten or drunk much. Not good. Megs grabbed my heavy camera to lighten my load and I felt like a weenie. But I couldn’t eat or drink. Too queasy, and I would rather die than eat and be caught heaving along the path. Now I know why our daughter calls backpacking a “death march.” I do not communicate these thoughts to Megs because they might upset her. Melissa and Jeff introduce themselves and stop to chat as we rested. They were working hard, too, but not nearly as hard as us, and they’d already hiked eight miles that day. This was a family vacation for them, though it looked like their two young-teen kids could think of better ways to spend their days off. Or maybe they were just embarrassed at being seen in public with their parents, let alone these two Methuselahs. It was getting late, and we worried we wouldn’t make six o’clock dinner. When you get to the hut, we asked, would you tell them that we’re on the trail and we’ll be coming along soon. Wow, they were nice to us, real regular folks. They actually seemed to enjoy talking with us. Dense woods separated us from other groups of hikers but not from a voice that called out triumphantly, We’re at the cut-off, or to the rousing cheers that followed. 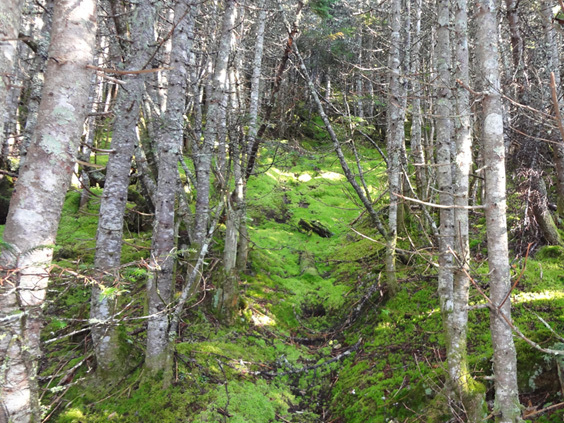 The cut-off was hallowed ground to hikers. It meant we were only point seven miles to the hut and the trail would become easier. To celebrate, I drank some water and ate some M&Ms. Body and spirit soared. Bless those M&Ms. We heard our names being called again and again. Melissa was coming down from the hut. I was worried about you, she said. You didn’t look good at all. Let me carry your pack. Thanks so much for coming back, but I’m fine now. I can carry my pack. Absolutely not. You’ve already hiked miles with your own pack today, you don’t need to carry mine now. We’re just so happy to have your company for moral support. Drink, she said. I will. We walked into the hut just as a wonderful dinner of clear, meaty soup with egg noodles, basil bread, ravioli with pesto sauce and chocolate cake was being served. Inviting. Happy. Cozy. Noisy. Friendly. Trail news and life stories exchanged in bits and pieces. No wine, but it was one of the finest meals we’d ever eaten and we were exhilarated. Where were Richard and Bennett? Even with a stop for late lunch, surely they would have passed us on the trail. Everyone else had. Should we say something? We were conscious of being the grannies in the group. Should we be mother hens, too? 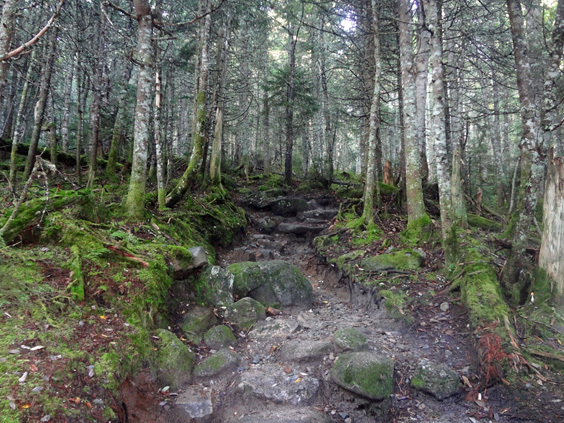 And what, exactly, is mountain-trail etiquette? When does one start to worry? Never mind. They just walked in. They were bushed, but they were fine and would eat later with the crew. They’d been hiking for three days, and a sign, “Showers — $1,” had ambushed them. Nobody except the snorers slept much that night, but it was heavenly to be flat on our backs, feet up. Unfortunately midnight bathroom breaks were not an option. Not from the top tier of a triple bunk. Tomorrow we would tackle the rock piles. The Garden The Plan The Way Back Endings?